Description: Black silk brocade. Funnel collar, Sleeveless. Single piping with double slits. mini length. 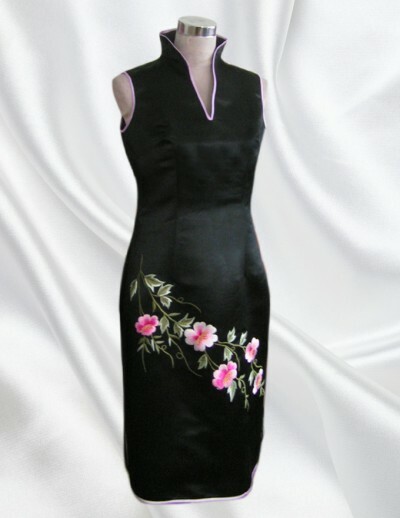 Chinese silk brocade with embroidery cheongsam dress.